Providing 24/7 restoration services throughout Frederick & Montgomery counties in Maryland. Water covers over 70 percent of the earth, makes up 60 percent of the adult human body, and is necessary to sustain life—but when it comes to the structural elements of your home the presence of water can have devastating consequences. Water damage from storm activity, flooding, damaged pipes, or faulty appliances can quickly destroy your home's structure and contents. In order to minimize the cost and scope of remediation, water must be removed efficiently and effectively using specialized equipment and time-honored techniques. The team of experienced professionals at RestoreUnow is dedicated to providing the highest quality service using the latest technology for all your structural drying and water extraction needs throughout Maryland. Call us today at 301-679-0465 for fast, reliable service, or contact us online and let us know how we can help! During our initial inspection, we use highly specialized equipment to detect the location and degree of moisture in your home. Infrared cameras, moisture meters, and other tools allow us to more accurately assess the level of damage, and locate hidden sources of water behind walls, beneath floors, and more. The majority of the water is extracted as quickly as possible to reduce overall humidity levels and prevent microbial or mold growth. Depending on the volume of water, our crew may use water pumps or truck mounted extraction equipment. Our team of experts is highly qualified to assess the contamination level of the water in your home, in order to clean and sanitize effectively. Affected areas are rinsed with 200-degree water and when necessary, an anti-microbial agent may be applied. In the event it is necessary to apply these types of chemicals in your home, adequate notice will be given to ensure the safety of all occupants, visitors, and pets. Once all the water has been removed the drying process can begin. 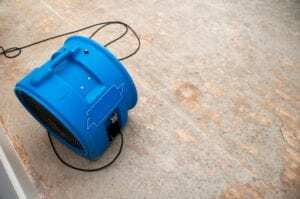 We use the latest state-of-the-art drying equipment and proven techniques to dry your home efficiently and effectively. Routine inspections are performed and documentation is recorded throughout the process. Efficient response times and professional grade equipment and techniques are needed, to minimize the damage to your home after water damage due to flooding or other sources. The team of experienced, trained professionals at RestoreUnow is certified and approved to work with all insurance companies and offer 24/7 restoration services to restore your property to its original condition as quickly as possible. Call us at 301-679-0465 24/7 for restoration in Maryland, including structural drying services.